Cameron Lintott is a Second Year student at the LSA. In January 2018, he entered a competition to be the LSA’s representative for the British Council-run fellowship in Venice, a month-long programme with around 70 other students, graduates and researchers running in tandem with the Architecture Biennale. Responding to a brief based on John Ruskin’s sketches of the city, Cameron proposed a study of architectural details in contemporary renovations focusing on three sites around Venice: David Chipperfield’s San Michele Cemetery extension, Carlo Scarpa’s Querini Stampalia and OMA’s renovation to the Fondaco dei Tedeschi. Below is Cameron’s account of the fellowship programme. 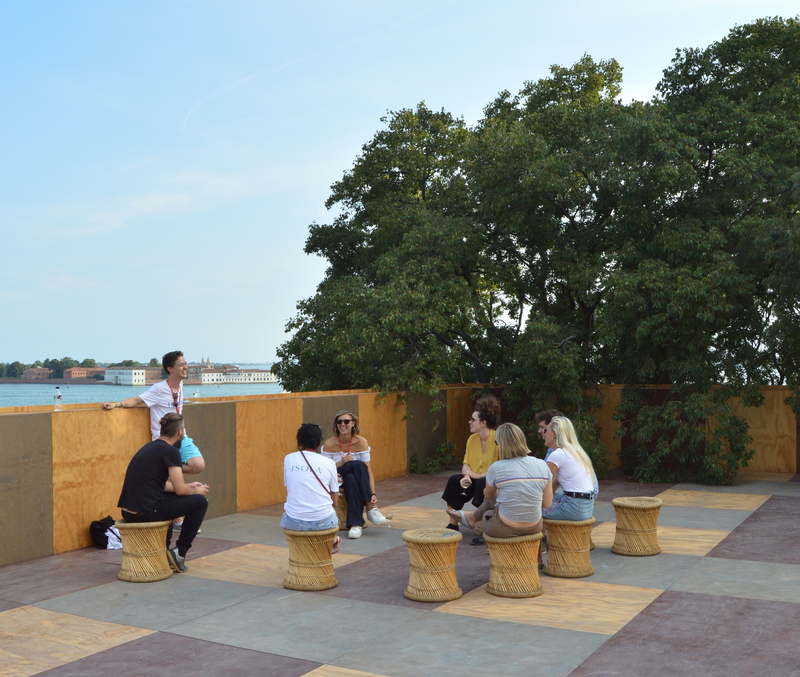 Our time in Venice was split into two parts, with half of our days being spent at the British Pavilion, representing the British Council by talking to visitors and looking after the exhibition. With the pavilion largely empty this year, our role expanded, placing us near the centre of the performance. The empty halls of the pavilion, echoing and slightly crisp with air-conditioning, were inhabited not by British work, but by events and performances from other countries and institutions, making a point – for me at least – about the reality of British design. The empty rooms reaffirmed Britain as a vessel, filled with the best and brightest from around the world to create a design hub that is truly multicultural, multi-lingual and multi-perspective. The ARB reported that around 25 per cent of registered Architects in the UK are from abroad with Dezeen adding that this number rises to nearly 50 per cent in London. In the wake of isolationist political movements, this statement came as a needed reminder and the make-up of the fellowship team reinforced this message. Comprising representatives from educational institutions up and down the country, we reflected London’s multi-cultural creative industry. In being the face of the pavilion, we were also on show, lending credence to that message and perhaps suggesting a brighter future with us at the helm. The other half of our time was focused on research, in my case expanding on the proposal I created for the competition. This started with visiting my proposed sites, taking notes, sketches and photographs. Naturally, any proposal develops quickly as you put it into practice, and my research during this fellowship was nudged in new directions by those I met in Venice. A chance encounter at the pavilion with an Architectural Conservation PhD from Edinburgh introduced me to the Athens and Venice Charters that set down rules about how interventions into conservation areas should be approached. 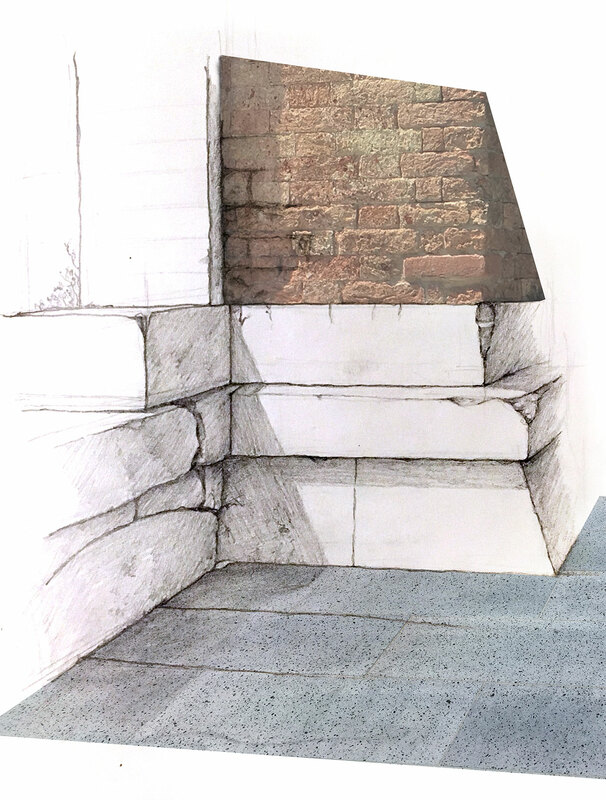 A call with Fabio, a local Architect, organised by the British Council, led to some more Venice-centric examples of the enforced legibility of new architecture against old, including the VAC Foundation where London studio Assemble’s tiles on show in the Giardini will be installed at the end of the Biennale. He also mentioned work at IUAV, an Arts and Architecture school based in Venice, using photogrammetry software to reconstruct parts of the city. As a result, this became another medium I used for my analysis. However, the most interesting insights I garnered came from local residents. Their perspectives on my three projects of study changed how I consider them in context. One student who lives here alerted me to the value of the glitzy Fondaco in its support for the only free rooftop terrace, a genuine gift to the city by Koolhaas. As with any city, time spent in Venice revealed the nuances and the complexities surrounding its issues. The urban toll of tourism is balanced by the vibrancy some residents say it has brought to the place. The ambition of this year’s Biennale, titled Freespace, is set against high walls and paid entrance. On the issues of conservation, historicism must be measured against a city that needs to develop. The back-and-forth of these issues led to a subtle change in the focus of my research, from conservation case studies, to conversation case studies, where architects are in dialogue with the city, balancing between contextuality, legibility and utility. With this new goal, the rest of my time was spent drawing up conclusions, gathering information, materials and imagery used to explore my three sites. These came together in a document called, ‘Venice Chatter: A Study of Architectural Conversation in Venice’, which describes the voice of each architect in their individual spatial conversations as they struggle to be heard. Yet, as Fabio mentioned in our discussion, ‘in Venice, the voice of history is loud’.